Not to be confused with Hong Kong Airlines or Sky Shuttle Helicopters (formerly Heli-Express). For the television drama series produced by SBS of Korea, see Hong Kong Express (TV series). Hong Kong Express Airways Limited, or HK Express (Chinese: 香港快運航空), is a Hong Kong-based low-cost airline which provides scheduled air service to nine destinations in Asia, including China, Japan, Korea, Taiwan and Thailand. The airline's main hub at Hong Kong International Airport uses a fleet that consists exclusively of Airbus A320s. The airline is one of the four founding members of the U-FLY Alliance. Its head office is in One Citygate in Tung Chung, Lantau Island. Hong Kong Express Airways Limited was incorporated on 10 March 2004, with the former Chinese name, 港聯航空公司, added on 21 April 2004. The airline was owned by Macau casino entrepreneur Stanley Ho. In July 2004, Hong Kong's helicopter operator Heli Hong Kong officially announced plans to commence fixed-wing operation via Hong Kong Express, to become Hong Kong's fourth passenger airline. It was planning to introduce regional jet services to secondary cities in mainland China and was in negotiations with Bombardier and Embraer for the lease of several 50- or 70-seat regional jets. 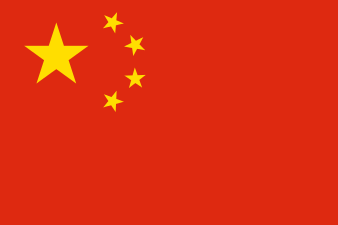 In April 2005, the airline was granted permission to transport passengers, cargo and mail from Hong Kong to selected destinations in China and permitted to apply for traffic rights to serve 15 Chinese cities. The next month, it received approval to operate scheduled air services to five cities in China, including Chongqing, Guangzhou, Hangzhou, Nanjing and Ningbo. The airline had its Air Operator's Certificate varied in July 2005 for the operation of Embraer 170 aircraft. The same month, it took delivery of its first of four 76-seat twin-jet Embraer 170, leased from General Electric Commercial Aviation Services (GECAS), and became the Asian launch operator of this regional jet. Two more aircraft were delivered in 2005, with the remaining delivered in May 2006. The airline's initial use of its first Embraer 170 was on charter services to Taichung, Republic of China (Taiwan), on 3 September 2005. The first scheduled passenger services began to Guangzhou on 8 September 2005, with services to Hangzhou and Ningbo following in October 2005 and December 2005, respectively. On 19 November 2005, Hong Kong Air Transport Licensing Authority (ATLA) granted the airline additional licences to operate scheduled services to 16 destinations in mainland China, as well as Koh Samui, Okinawa, Siem Reap and Taichung. Scheduled passenger services to Chiang Mai and Chongqing were inaugurated on 22 June 2006 and 31 July 2006, respectively. On 3 August 2006, HNA Group, the parent company of Hainan Airlines, announced a finalised agreement to acquire a 45 percent stake in Hong Kong Express; this followed an earlier purchase of a 45 percent holdings in CR Airways in June. Under the terms of the agreement, the airline would remain a Hong Kong registered airline and there would be no changes to the current operations. Analysts said that the HNA Group had the weakest international network amongst all the mainland airlines. By purchasing both Hong Kong Express and CR Airways, it would enable Hainan Airlines to expand internationally via its junior partners from Hong Kong. On 23 January 2008, the airline was the third Hong Kong carrier permitted, by the Hong Kong Civil Aviation Department, to operate flights to and from Beijing and Shanghai. To facilitate the expansion, it announced a further six Boeing 737-800 would be added to its fleet before the end of the year. On 26 June 2013, Hong Kong Express announced its intention to transform into a low-cost carrier (LCC), and renamed to "HK Express", under the direction of the deputy CEO Andrew Cowen. Hong Kong Express' first flights as a LCC commenced October 27, 2013, to five destinations in Asia. The airline has since added routes to Tokyo, Penang, Osaka, Fukuoka, Seoul and Busan. There are plans for the airline's fleet to increase by five Airbus A320 in 2014, taking the total number of aircraft to 11 within the year and with a longer term aim of having over 30 Airbus A320 by 2018. All of the Airbus A320 aircraft have single-class economy seating for either 174 or 180 seats each. The average seat pitch is 28 inches in a 3 + 3 configuration. Meals, drinks and alcoholic beverages are available for passengers to purchase on board. In-flight products are branded items available for onboard purchase and now includes an Airbus A320 aircraft model, a blanket and a comfort kit. ↑ "Legal & Privacy." HK Express. Retrieved on October 26, 2016. "Hong Kong Express Airways Limited 7th Floor, One Citygate, 20 Tat Tung Road, Tung Chung, Lantau, Hong Kong"
↑ "Public Services - Registration of a new company". Government of Hong Kong. Retrieved 2009-08-02. ↑ "Directory: World Airlines". Flight International. Reed Business Information. 2007-04-03. p. 91. ↑ Ionides, Nicholas (6–12 July 2004). "Helicopter operator aims for Hong Kong airline services" (PDF). Flight International. Reed Business Information. p. 12. Retrieved 2009-08-02. ↑ Francis, Leithen (26 April 2005). "Hong Kong pair near China rights". Flight International. Reed Business Information. Retrieved 2009-08-02. ↑ "Embraer Delivers Embraer 170 to Hong Kong Express" (PDF) (Press release). Embraer. 27 September 2005. Retrieved 2009-08-02. 1 2 "Hong Kong 2005 - Civil Aviation". Government of Hong Kong. 2005. Retrieved 2009-08-02. ↑ "Embraer wins 170 Asian breakthrough" (PDF). Flight International. Reed Business Information. 7–13 December 2004. p. 9. Retrieved 2009-08-02. 1 2 "First E-170 for Asia arrives". Flight International. Reed Business Information. 26 July 2005. Retrieved 2009-08-02. ↑ "Hong Kong 2006 - Civil Aviation". Government of Hong Kong. 2006. Retrieved 2009-08-02. ↑ "Hong Kong Express launches Guangzhou flights". Asia Times Online. 14 September 2005. Retrieved 2009-08-02. ↑ "Decision on Hong Kong Express Airways' application for licence to operate scheduled services" (PDF) (Press release). Air Transport Licensing Authority. 19 November 2005. Retrieved 2009-08-02. ↑ "Hong Kong Express Airways Confirms HNA Group Deal" (Press release). Hong Kong Express. 3 August 2006. Retrieved 2009-08-02. ↑ Lu, Haoting (3 August 2006). "HNA in talks to buy stake in HK airline". China Daily. Retrieved 2009-08-02. ↑ "Hong Kong Express Airways Granted Beijing and Shanghai Routes" (Press release). Hong Kong Express. 22 January 2008. Retrieved 2009-08-03. ↑ "Hong Kong Express". Hong Kong Express. Retrieved 2013-09-27. ↑ "." Hong Kong Express. Accessed April 2014. ↑ 13 February 2014. "Hong Kong Express Fleet in Planespotters.net". planespotters.net. Retrieved 2014-02-13. 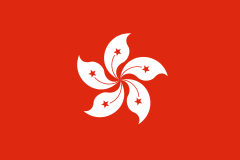 ↑ "Hong Kong Express Fleet Details and History". Planespotters.net. Retrieved 25 July 2014. ↑ "." Hong Kong Express. Accessed 27 September 2013. Wikimedia Commons has media related to Hong Kong Express Airways.